The Bed Butler Tiffany Wooden Bed is made American Black Walnut. 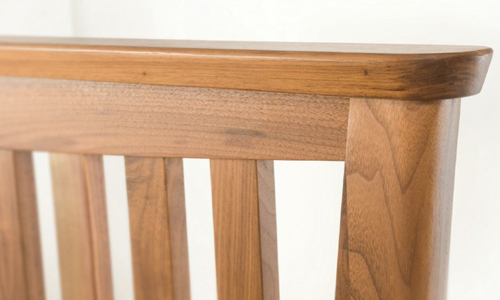 Particular attention is made in choosing the finest timber which has been properly seasoned and showing the best grain. The Bed Head is slatted with elegant sweeping legs which is also repeated at the foot of the bed. 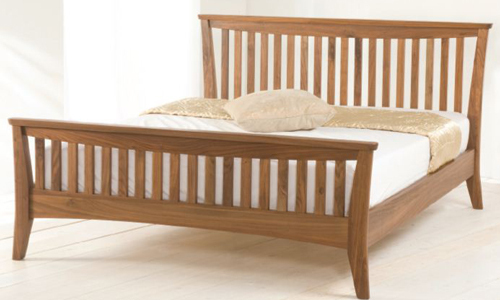 Each part is made of solid walnut giving strength and durability to the bed. 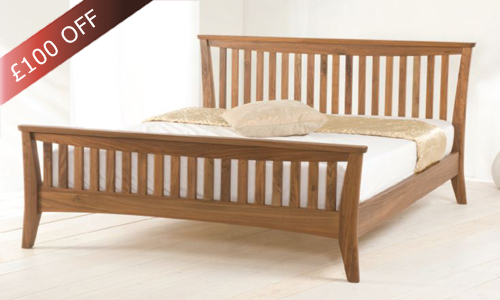 It has a sprung beechwood slatted base giving perfect support to the mattress. Using the best wood available will ensure that your bed will always look its best in what ever bedroom setting it is placed, either modern or traditional. 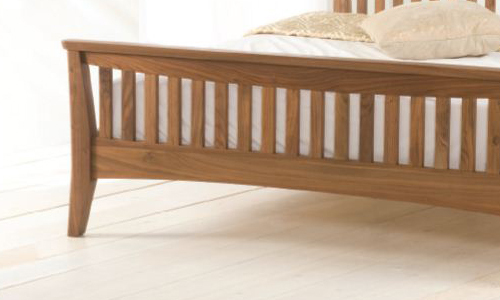 The natural finish of the Tiffany Bed allows the beautiful colour and grain of the walnut wood to be shown at its best. The clear lacquer protection does not affect the finish but ensures that it has a high level of protection from damage or staining. Matching bedside cabinets are also available in the same high quality and finish. The excellent quality of craftsmanship is carried through to the cabinets making sure that the complete range of bedroom furniture will last the test of time, something you will be proud of for many years to come.